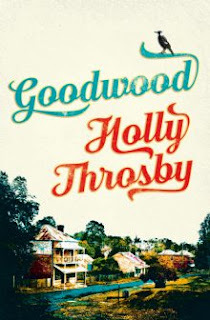 I recently won an uncorrected proof copy of Goodwood, which is a debut novel by Australian musician Holly Throsby. It is due for release in October. Goodwood is the name of the town in which the story takes place, in the year of 1992. In Goodwood, the community is a tightly-knit one, so when two of the locals go missing, it is a great cause for concern. Firstly, 18-year-old Rosie vanishes one evening, after finishing a shift at one of the local eateries. Then, exactly a week after her disappearance, Bart McDonald goes out on his typical Sunday fishing trip, but he never returns. The remaining residents of the town try to piece the puzzle together, and try to see whether the two cases are somehow linked. 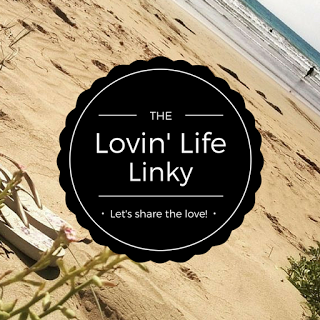 There are a lot of characters in this book, (it actually reminded me a little of Summer Bay, the fictional town where tv show Home And Away is set). I must admit that on more than one occasion, I got a little confused by the different characters, but as the story progressed, it became less of an issue. By the end of the story, I felt that every character was an important component to the book. There's 17 year-old Jean Brown, who is the narrator. For the most part, I really liked Jean. She lives with her mum and her dog Backflip. Her mum's cousin, 'Uncle Mack', is Goodwood's Constable Mackenzie. She is a bit of a dreamer, and she enjoys hanging out with her best girl friend , George. My one issue with her character is the relationship she forms with Evie, a new resident to Goodwood. I felt it unnecessary, and in particular, the way that this relationship was the focus of the ending of the story just didn't make much sense to me. I realise that the author was trying to portray that Jean had her own secret, but it just didn't tie in well, and I think that the ending could've been better. But the story drew me in nonetheless, as I wanted to uncover the mystery that surrounded Goodwood. The way in which the author describes the town is great. I especially liked her descriptions of the shops along Cedar Street, including a Vinnies run by local Val Sparks. I really enjoyed being swept up in the community as the mystery slowly unravelled. This is a fantastic Australian story, and I think it will be hugely popular upon its release. How exciting to read the uncorrected proof! I'd love to read this. Finding it hard to find a book that really enthralls me lately. Thanks for the recommendations. Thanks for the review, I'll keep an eye out for it.